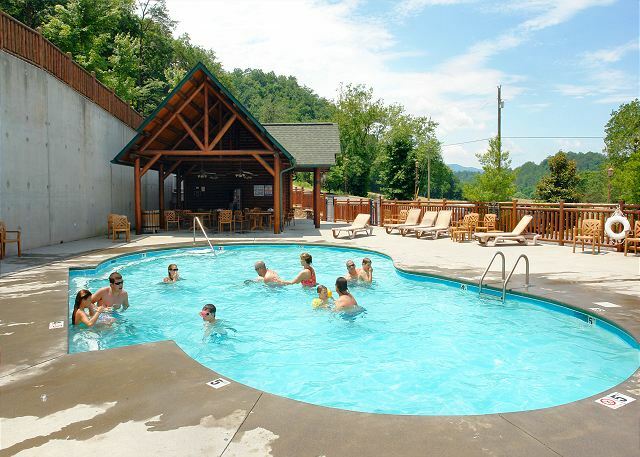 Location: Pigeon Forge, TN at The Covered Bridge Resort (Newer Luxury Cabin Resort 2 miles from Light #3 Wears Valley Rd. Dream Come True #555 is a wonderful addition to our luxury cabin rental program at Aunt Bug's Cabin Rentals. 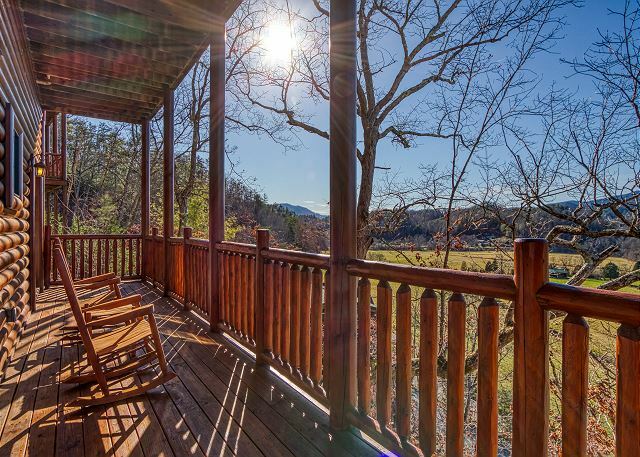 This beautiful, newly carpeted log home has amazing mountain views and is close to everything you will want to do on your vacation! 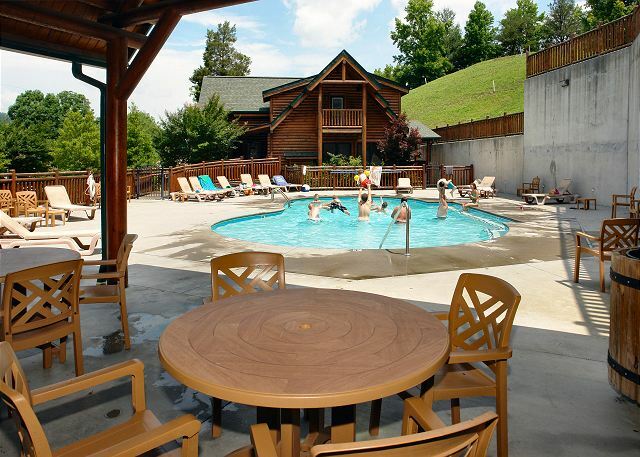 This five bedroom vacation cabin rental is in the Covered Bridge Resort and has access to a swimming pool at the entrance of the Resort during the Spring/Summer season. 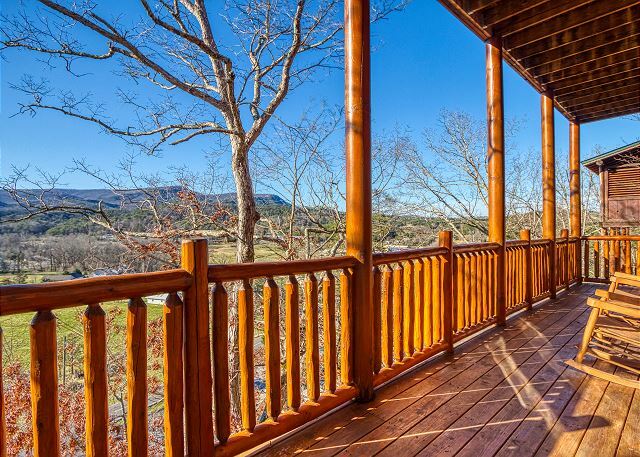 You will love the exquisite layout of this log cabin in Pigeon Forge. As you enter the Dream Come True log cabin, you'll find yourself in the charming great room which includes the living room with vaulted ceilings. This beautiful living room, with electric fireplace, transitions into the dining room. 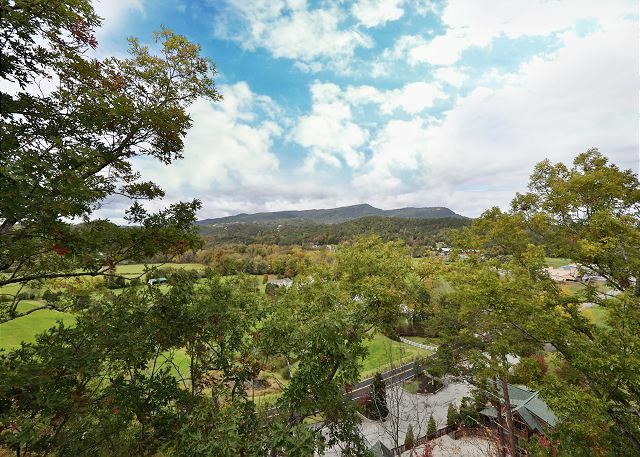 The dining room has wonderful views of the mountains. This log cabin is perfect for families, so you will want to bring your camera! The dining room connects to the kitchen, which offers a breakfast bar. When you walk out the french doors to the back deck, you'll find a private hot tub and outdoor furniture for your relaxation. This main level also offers two bedrooms which have TVs and premium queen beds. If you walk up the stairs to the master suite, you'll discover an amazing giant King bedroom with full bath, jacuzzi tub, premium flatscreen TV, leather futon, and all the space you could desire for a relaxing trip for the head of the household. On the lower level of this luxurious log cabin, you'll find a recreational room with another electric fireplace. There is also a wet bar so you can have drinks while you relax and play games with friends and family. The lower level offers two bunk bed rooms with two bathrooms that are inviting for the children or Singles in the group. There is also a washer/dryer, internet access, and charcoal grill here at Dream Come True to make your vacation as comfortable as possible. 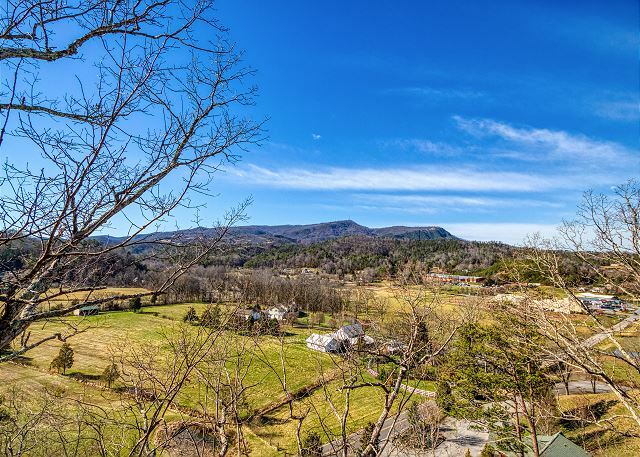 Don't hesitate, reserve this large newer log home for your family or friends today! This cabin priced for 10 guests. Each additional guest is $12.50 daily or $25 nightly for each couple. No smoking allowed. Pets can be registered for $75 each.